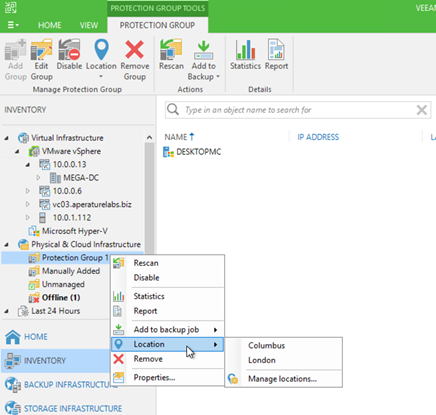 A new feature in Veeam Backup & Replication & ONE 9.5 update 3 this is location tagging; location tagging is going to give some additional information to our infrastructure and our backup data. With the year 2018 being branded not only the year of data but also the year of GDPR. 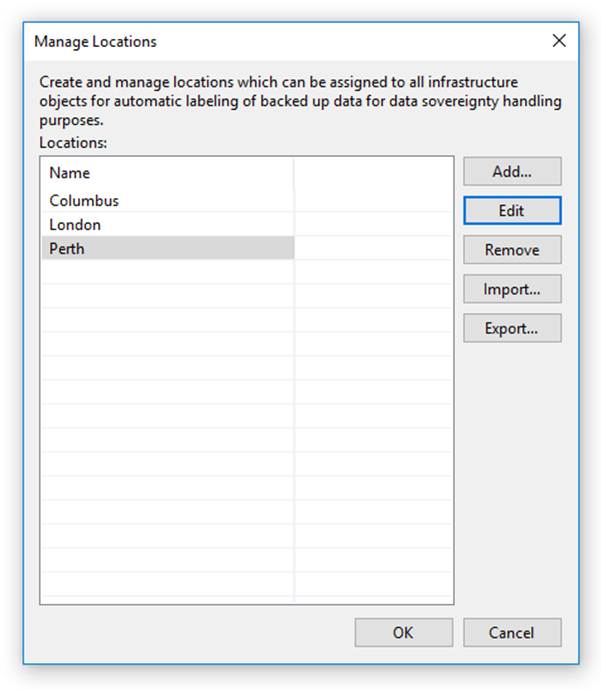 These location tags are going to help not only from a reporting point of view on where your data is residing but also when it comes to restores especially out of location restores. 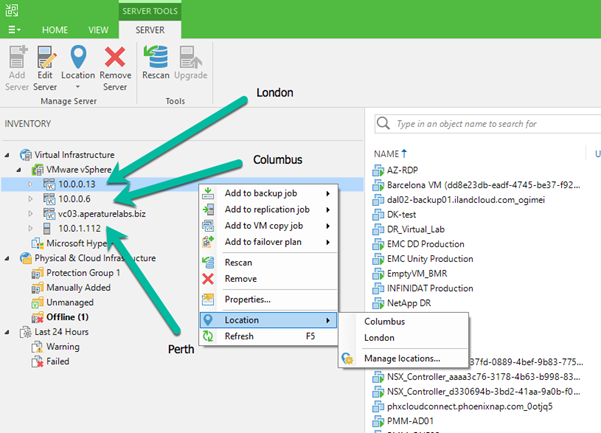 Veeam ONE will also be able to report on these tags ensuring you know where the data is and if it should be there. 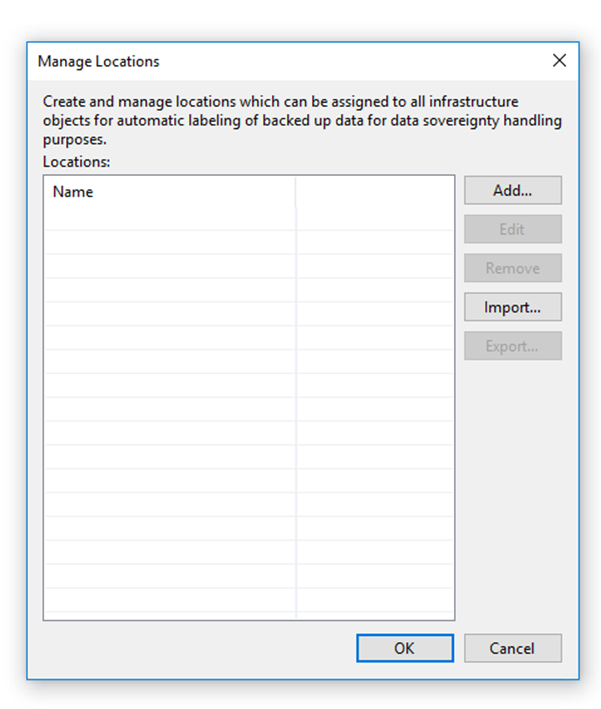 First up is the backup repositories location the ability to set your location of the target backup repository. Before we move forward we need to create our locations. 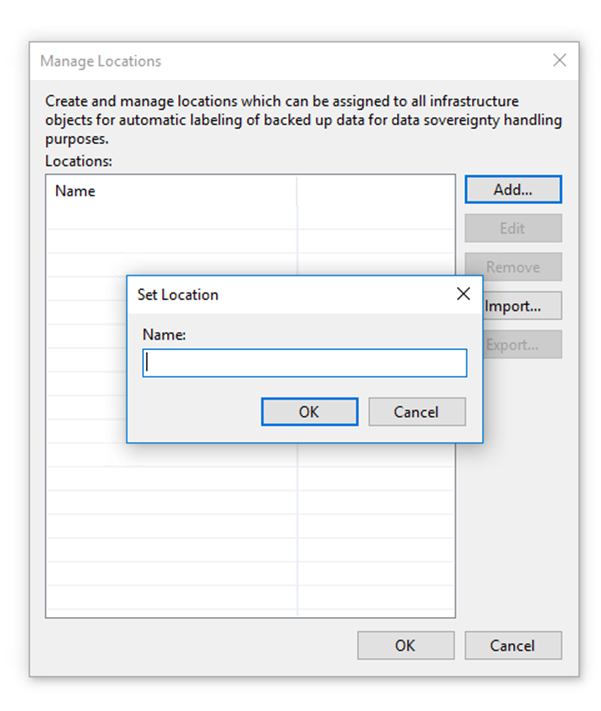 You can do this by right clicking on the object and then selecting manage locations. A very simple wizard approach, add your locations by text and that’s it. Once you have added your list of locations you will see them all listed as below. The import wizard allows you to import from a csv. It’s as simple as that, but it’s not how complicated the feature is, it’s how and what it does for your business. You can also define locations on your other physical components. This will then allow us to populate location down to the assets within these virtual centres or these physical entities. See below for some other areas where you can define location. Also within the update 3 feature list was the inclusion of agent management but of course the location tagging continues here to show where those physical or cloud instances reside. Now that we can define where our physical constructs are this will help us understand where the data has come from if you are moving from certain countries or sites. Next up we will look at how this can be seen and presented on within Veeam ONE.